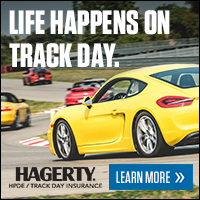 An HPDE event will be held on Feb. 9-10 at Roebling Road Raceway. Register at clubregistration.net This is a 2 day driving event focused on developing high performance driving skills for all drivers. Instructors will be provided for all Green Blue groups.Cass Whitehead will be guest instructor for the DE. Cass is Chief Driving Instructor for the Porsche Track Experience USA, and has over 30 years road racing experience He'll be available for individual instruction - $50 per session.